Today we're talking about Gallery Walls! 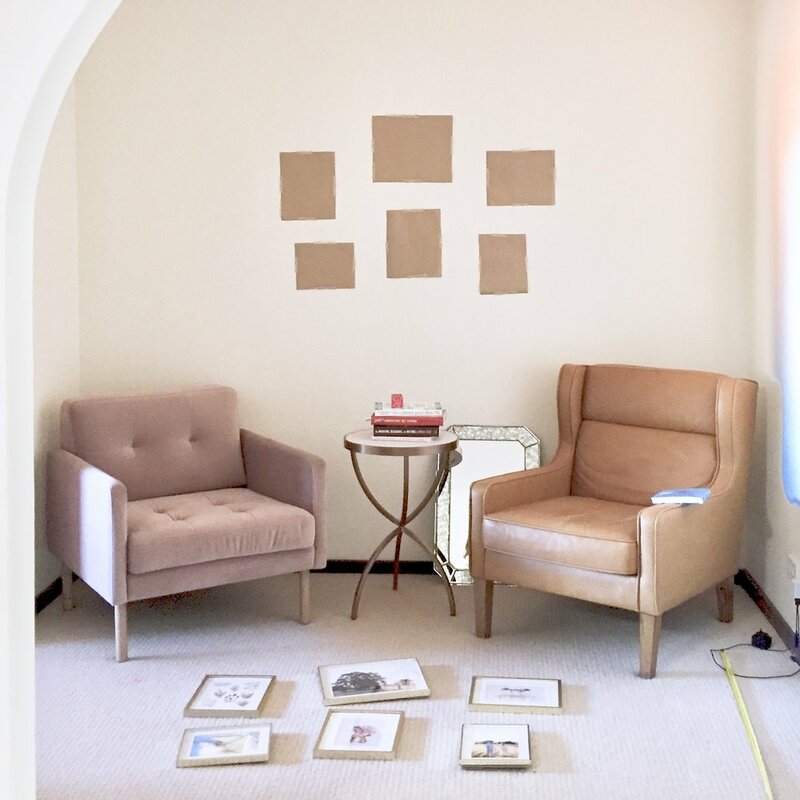 Having recently put up this little collection of prints and photos on our wall at home, I thought it would be fun to share a few of my tips and tricks to help you create one of your own. There are so many different ways of putting together a Gallery Wall and I love that you can really show your own personal style through the prints you choose, the frames, the colours (or lack of colours! ), the arrangement and of course the ability to display personal photos in a way that is a little more artsy and creative. Do you like colour or would you prefer something monochromatic? Are you into the eclectic, mismatched style with a variety of sizes and different frames or do you prefer something more classic and symmetrical. The best way to figure out what you like is to hop on Pinterest and gather inspiration. You'll soon figure out which look you gravitate towards and what will work in your home! The easiest way to decide what to include in your Gallery Wall is to start with a few main pieces that you want to display and then collect others that will complement them (rather than just trying to piece together a bunch of random prints that don't quite work together). 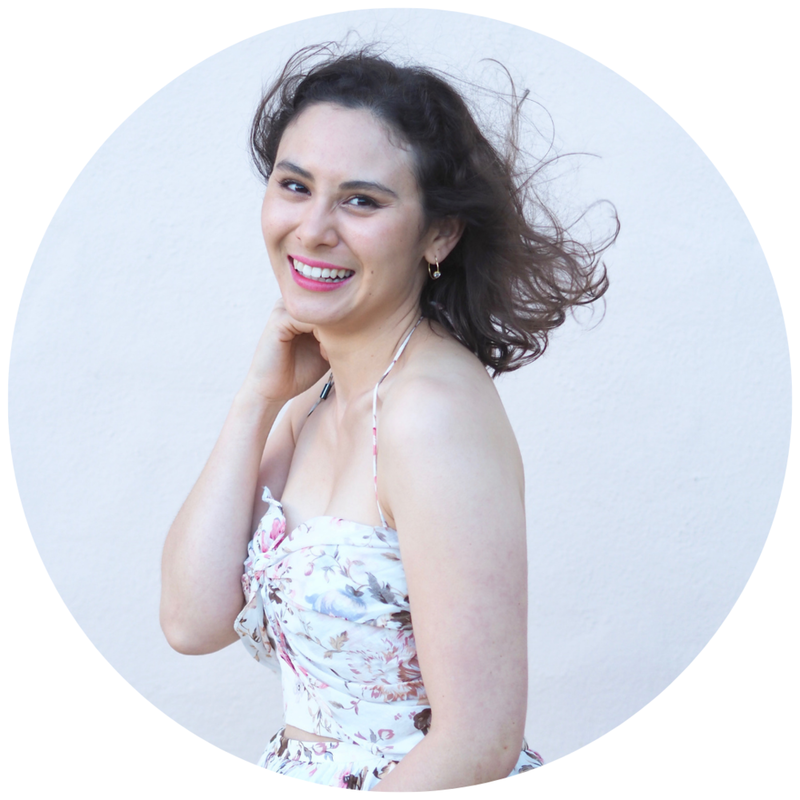 It's nice to include a mix of artwork and personal photos, and I love the look of more artistic or candid shots rather than the "smiling at the camera type" (but of course this is up to your personal preference). For our Gallery, I knew I wanted to display a few of our engagement photos so I started with these and then chose prints that looked good with them. I bought these prints at a market for local artists which makes them a little more special and meaningful too! I like to think this gallery has a kind of "Australian nature" theme. Considering the balance of colours (light and bright/dark and moody) and choosing pieces that pick up on colours in each other will help create a cohesive look. The style of frames is also obviously something to consider as a heavy and ornate frame will give a very different look to something more streamlined and modern. Of course, it's fine to include a variety of different frame styles if you're going for an eclectic look - you just need to make sure they're balanced! For our Gallery, I chose simple gold matted frames. I like how they're streamlined and classic and also how they pick up on the golden tones in the photos. There are also pops of pink in some of the prints which complement the photos (because of the pinky tones in my dress) and also ties in with our pink armchair! Once you've collected all your prints and photos and sorted out your frames (sometimes finding the right size frame can be the hardest part!!!) it's time to start arranging! If you have one or two big pieces, it's best to make those the central focus and then build outwards from there. Pinterest comes in handy if you need some ideas! Remember it doesn't have to be symmetrical, but you do need a balance of sizes and colours. Step 5: Map it out on the wall! It's important to map out your arrangement on the wall before you start drilling any holes! Cut out paper to the size of your frames and stick them to the wall with washi tape. This makes it easy to make adjustments (you will be doing a lot of tweaking and small adjustments!) and lets you see the big picture. It's important to consider how the Gallery Wall will fit in with your furniture too! Measure the frames and mark on the paper how far down the screw needs to go. Then it's time to start drilling, or using adhesive hooks) and actually put up your artwork! Step 7: Step back and admire your Gallery! I'd love for you to share this post if you found it helpful! 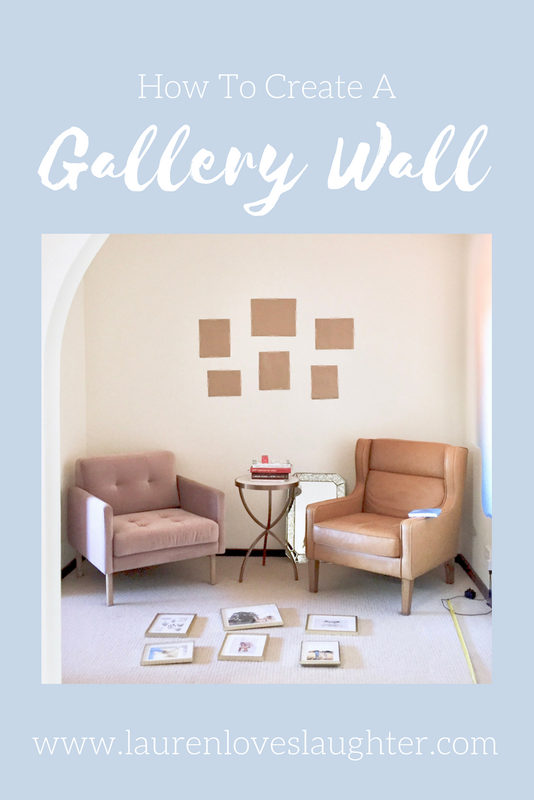 If you get inspired to make your own Gallery Wall I'd love to see how it turns out!